Sheet for more "vertical" project or goal planning . I haven't tried to use it yet, so I don't know where the bugs are, if there are any. It's a 2up,front - back document has the "steps" list. Uses Papyrus font. Used the DIY Widget Kit and Inkscape (which is awesome, thanks ygor) to build it. Based on the Teacher's Lesson Planner template by Alex Prouty. Provides more space to list materials and notes to help in planning your lessons, as well as some color for sorting. This is my first template. I attempted a 1up & a 4up, as well as an OO version. Includes 9 different colors for the topmost header bar so you can organize by subject, child, day of the week, quarter, semester, and so on. Lesson box for the assignment and page numbers. Rounded square box can hold a sticker for completion or further organization, or write the date, week number, child's name, etc. Materials section is helpful for listing math manipulatives, library books, art supplies, science experiment materials, or other things you'll need to gather for your lesson. You could use these as assignment cards for older children, in workboxes, planning file crate systems, etc. This is a simple template which I find very helpful as a student and a business owner. It's in black and white, and it was originally designed for letter or A4 sized paper - not sure how it will look on A5 or Classic. It's prioritized by Urgent vs. Important goals, and it allows you to track your progress every week in the categories of school, business, and health. You also pick an action goal for the week which you want to accomplish that week, and at the end of the week you write down what you did to accomplish that goal as a pat on the back - this is to show you past successes and keep you motivated. This can be anything - it doesn't have to be related to school or business. Mine last week was that I need to go through my fridge and clean it out, and restock with healthy food. And it got done! Mostly, I make these goals ones that I usually hate doing so that my satisfaction at accomplishing them is even higher than normal. It has timings from 8 a.m. - 12 a.m. because I know we keep long hours. I hope this helps you out and god bless in accomplishing your goals and creating your future. I would suggest sitting down at the beginning of the week (sunday night for me)and writing down your goals for this week, along with your Big Goal, and as the week goes along, track your progress. Always separate what is urgent from what is important. The way I define it is, if it's something that will get you closer to your goals, and actually move you forward, it's important. Otherwise, it's simply urgent. You might need to do the urgent things first, but always keep your perspective about them, and don't get caught up - just get it done, then forget it! And remember that health is one of the big three - don't get so busy accomplishing that you forget that you need to be healthy to enjoy it! So good luck, and god bless! Daily calendar pages for September through December 2010 with columns for "Priority To Do" and "Want to Do," as well as an "Appointments" column with times (my day starts at 4:45am so the first time row is 4am). There is a small area to write in Breakfast, Lunch and Dinner, and a "Notes for Today" area to put things like "Hubby out of town" or "Jane's Birthday." Three calendars: the big one on a page for the year 2011 in a personal way of draw, the two small on another page for the years 2010 and 2012, in a more classical fashion. Builded with Scribus and a python script for the automatic setting of the calendars. Print it front-back on a single sheet, cut, punch and insert them in your personal filofax. FirstPage.zip, the Scribus source file. Do you want to learn shortcuts and are tired of all the little notes stuck to the sides of your monitor? Download the shortcut column, add your own shortcut, print, cut and glue and you have a column to put on your desk. From late September through to the end of the year. A simple template that can be used to write down appointments or take notes for a single day. This template can be printed out or used digitally. I use the PDF as a background template in an iPad application called Notetaker HD. I've included the XLS file in case you would like to change the colors or modify the formatting to your liking. 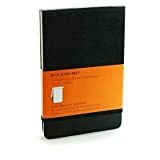 Lately I changed to a small ring bound planner in the Franklin-Covey pocket size format (3 1/2 x 6 inches; 89 x 152 mm). As for me the addressbook is a vital part of my planner, I had to bring my contacts into that ringbook. For this purpose I made a template in scribus that brings three pages on an A4 sheet. Although the start-up filling I puchased for the planner brought an A-Z-register, I decided to include tabs in the design. That way I will not carry 13 black plastic stripes containing virtually no information with me. All elements are arranged in layers, so they can easily be altered or switched off for printing. The layer ContentText has chained textboxes where the contacts have to be filled in with the story editor (of scribus). To faciliate formatting I added two paragraph styles: EntryHeadline and EntryBody. For me I set up one file for each section (AB; CD; etc.). If someone has very much contacts starting with a specific letter I suggest one individual file for that letter. It is possible to add more pages in the template by using the master-pages I defined. But then it is necessary also to add the new texboxes and to continue the chain. In fact this template can be used for any form of the specific size in a 3-up way. Some printers might be tricky in printing double sided, but this topic is covered elsewhere in this forum. Cut paper to size before printing; you should be able to get (3) 3.75 x 6.75 sheets from a single letter sized page. Use duplex printing option (unclick autorotate and center) or print duplex manually. Daily calendar pages for January through April 2011 with columns for "Priority To Do" and "Want to Do," as well as an "Appointments" column with times (my day starts at 4:45am so the first time row is 4am). There is a small area to write in Breakfast, Lunch and Dinner, and a "Notes for Today" area to put things like "Hubby out of town" or "Jane's Birthday."